In celebration of the Year of the Last Twilight Movie So Help Us God, I have decided to brave the annals of vampiric film lore for a retrospective of every notable vampire film in history. I utilize the notability qualifier (which will be determined by a precise historic metric, i.e. 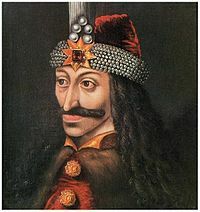 my whims) primarily because there are at least two hundred films ostensibly about Dracula alone and, by one liberal estimate, over two thousand vampire movies in general. I will begin by launching this saga with Nosferatu, the infamously unlicensed Dracula pic generally revered as the great grandaddy of them all, and will conclude my journey with the upcoming trainwreck-in-motion Dark Shadows by former director Tim Burton. And no, I will not be reviewing any of the Twilight films for this retrospective. They have been done to death, and I don't care if you forgive the pun. At this point The Hunger Games needs little introduction to the non-subterranean segment of our population, and so I shall give it none. To the rock-dwellers among us, kindly let me Google that for you. I would also like to address the frequent media reports of similarities between the book and the Harry Potter and Twilight series, respectively: there are none. None of any importance, anyway, beyond all three being written originally in the English language and ostensibly for the elusive "young adult" segment of our population, which probably includes as many septuagenarians as it does seventeen-year-olds. Moving on, The Hunger Games is a damn fine novel and a damnably squandered opportunity of a film, but more on the Hollywood-neutered adaptation later. There is a rich tradition in children's lit (not to say that the book is necessarily appropriate for children) of representing complex, pertinent social problems – often ones to which sheltered western youth might not otherwise be exposed – in the form of fantastic dystopian metaphors rivaling the greatest of their counterparts in "adult" speculative fiction. One need look no further back than Lois Lowry's The Giver to find a powerful example that has resonated with readers of all ages and helped shaped the worldviews of at least two generations, and one could, if one wanted, take one's pick from among a long list of similar examples including classics like Ender's Game, A Wrinkle in Time, The Handmade's Tale, Anthem, and even Gulliver's Travels to realize that "YA FIC" has as much potential to shape the world as any other literary genre. 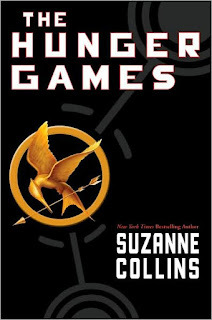 From the perspective of Katniss Everdeen – skilled hunter and sole supporter of a younger sister and depressed mother in the wake of the father's fatal mining accident – we are introduced to a future world where the great majority of humanity struggles in squalor and starvation to eke out a painful living while an elite, plutocratic segment of the population exploits them for their labor while themselves reveling in decadence sufficiently despicable to generate reality television programs that pit the poor against one another in violent deathmatches for the purposes of amusement and subjugation through humiliation, all the while enforcing strict anti-immigration policies which prevent the destitute from bettering their lot through escape to the ruling Capitol district. Young adult "fiction" indeed. A warning to Republican parents: if you want your children to grow up devoid of compassion for the socially downtrodden, I suggest keeping them away from The Hunger Games at all costs. As you may have gathered either from the book's title or from not hiding under rock, Katniss – along with classmate Peeta Mellark and twenty-two other adolescents from the other elevent districts of Panem – is selected at random to participate in the seventy-fourth annual Hunger Games, the aforementioned state-sponsored prime-time television bloodbath event of the year (and likely winner of fourteen Emmy awards). Or, rather, her younger sister Prim is selected, and Katniss of course volunteers to take her place. What follows is more or less exactly what you would expect, but what one might not expect is the sheer brutality of the unfolding events and the degree to which Katniss's inevitable victory shocks not only her own concept of her humanity but the reader's as well. Parallels to Golding's Lord of the Flies are not amiss here, nor to Hobbes's Leviathan, but few other works of fiction have so vividly explored the clash of personal identity with our basic animal instincts when they are forcibly put to the test. In exploring this clash, THG is as thrilling as it is intellectually compelling, but part of the trick of the work is the way in which it forces you to question why exactly, as a reader, it thrills and compels you so, drawing to the surface some rather disturbing revelations about the human psyche and our cultural affinity for violence. Even as we cheer Katniss on in her small rebellions against the Capitol voyeurs who so revel in her struggle, we as readers are in some metaphoric way compliant in that very voyeurism. The abstract pleasure we derive from her fictional struggles that might be a little less alarming if it weren't for the very real-world ways in which we as a society derive entertainment from the suffering and humiliation of others. I will speak no more of reality television, Casey Anthony, and the 24-hour news cycle than to echo Francis Schaeffer, of all people, in wondering whether we have come as far from the gladiatorial games of Rome as we would like to think. Stylistically, THG is as spartan as its twelve districts. Collins's prose is more functional than anything, but given how plot- and character-driven the work is at heart, I count that nearly a blessing: stark, black-and-white prose is always a more welcome beast than purple. And as abused as first-person present is in your average post-minimalist fiction workshop these days, the perspective is perfectly appropriate for the novel's visceral tone and its live TV concept. Forgive me, however, if all this talk of the novel's bleakness lends the impression that it is also heartless. Nothing could be further from the truth; Collins writes with both a great sadness for and love of humanity, and one can literally feel the pain with which she brings these characters to life – and death – in the vicious world of her own imagination. There were moments when I was forced to put the book down and mentally rearm myself after the emotional shock of what I had just read; at other times I had to pause simply because it is difficult to read with welled tears in one's eyes. 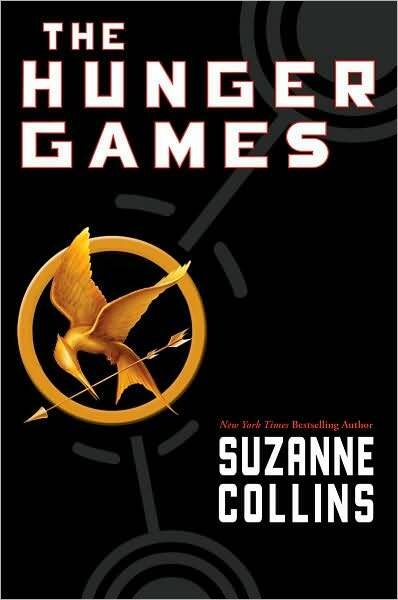 An emotional roller coaster with three plunges for every incline, The Hunger Games is a swift and simple read – perhaps the only uniform trait of most good YA fiction – but it is not one that will easily be forgotten.